Amid reports of inventory increases, further surges in future non-OPEC supply and prices lying stagnant in the $40s, it’s becoming clear that the OPEC deal to extend production cuts in place since November has not had the desired effect. Now, OPEC states are taking divergent, self-interested approaches to the problem, raising new questions: will the group take new action to arrest the fall in prices, and if so what form will it take, and when? 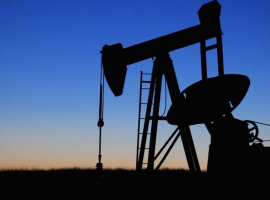 First, a little good news came to the market this week as the EIA reported a 1.7-million-barrel draw in inventories. At 511.5 million barrels, U.S. inventories remain in the upper half of the average range for this time of year. But the report nevertheless was a welcome change from last week’s 3.3 million barrel rise in inventories, as well as the API’s estimates that inventories would rise 2.75 million barrels this week ahead of the EIA report. Despite the glimmer of hope, there are increasing signs that declining inventories in the U.S. won’t make up for surging domestic production or increasing output by other non-OPEC states. The IEA reported Tuesday that output from non-OPEC members would meet global demand, exceeding any deficit left by the OPEC cuts well into 2018. Brazil and Canada will add output, while non-OPEC supply growth will exceed demand growth for the first time since, according to IEA data. Meanwhile, the EIA has reported that shale production in the U.S. would reach an all-time high in July, at 5.475 million bpd and adding an additional rig to bring the total rig count to 719, continuing the twenty-two-week streak. The news has sent dollar values plummeting along with oil prices, with Bloomberg reporting a 0.5 percent fall in the dollar spot index while WTI fell below $45 and Brent below $47. 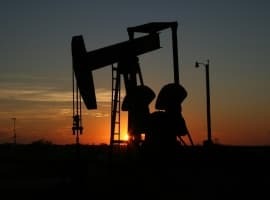 Looking for someone to blame for stagnant prices, some analysts have pointed the figure at OPEC and it’s disappointing, underwhelming announcement of a production cut extension in May. The decision to extend the cuts presumed that inventories would soon drop and boost prices, but the glut has persisted. Bloomberg reported that as OPEC met, the group’s total production was climbing at a rapid pace, as political crises in Libya and Nigeria finally eased and output came back on line. OPEC spokesmen have indicated they expect inventories to fall as member states comply with quotas. Yet the group lowered expectations for non-member Russia, which has been cooperating with Saudi Arabia on production, by 200,000 bpd, or about two-thirds of the original estimate. Related: Will Self-Driving Oil Rigs Hit The Market Before Self-Driving Cars? Russian compliance with the first round of cuts was slow, and there is skepticism that Moscow will offer aggressive compliance this time, particularly if the cuts look inadequate to change market conditions. Russian news has reported companies have successfully cut 300,000 bpd, a deeper cut than was mandated by the OPEC deal. Then, there’s the OPEC members themselves, who are each pursuing their own agendas. Saudi Arabia, in response to surging shale production, has decided to cut exports to the U.S. Saudi crude imports had spiked in the first half of 2017. Yet no sooner had Riyadh made that decision that Iraq, OPEC’s second-largest producer, announced it would step up exports to the U.S. to make up for the drop in Saudi supply. A report from the IEA indicated that Iraq, along with other OPEC members, was being less than diligent in cutting oil production and abiding by the OPEC deal. In fact, Baghdad may have reached only a 55% compliance rate, according to IEA figures. This isn’t particularly surprising, as coercing Iraqi compliance with OPEC’s designs last year proved troublesome. With an independence referendum in Iraq’s Kurdish region looming in September, along with the possibility of losing access to the valuable northern oil fields, the Iraqi government may be pushing its advantages now, ratcheting up output rather than complying with OPEC mandates. Some analysts told Bloomberg that deeper cuts by OPEC below the current level could act as a more forceful lever on prices. But that would require greater sacrifices from group members as well as cooperation from non-OPEC states. With a longer, deeper glut looking more likely, it may prove difficult for OPEC’s leadership to wrangle more support from members looking to get what they can in an uncertain market. Will Trump Push Back Against Putin’s Pipeline Play?